We're talking about D.I.Y. 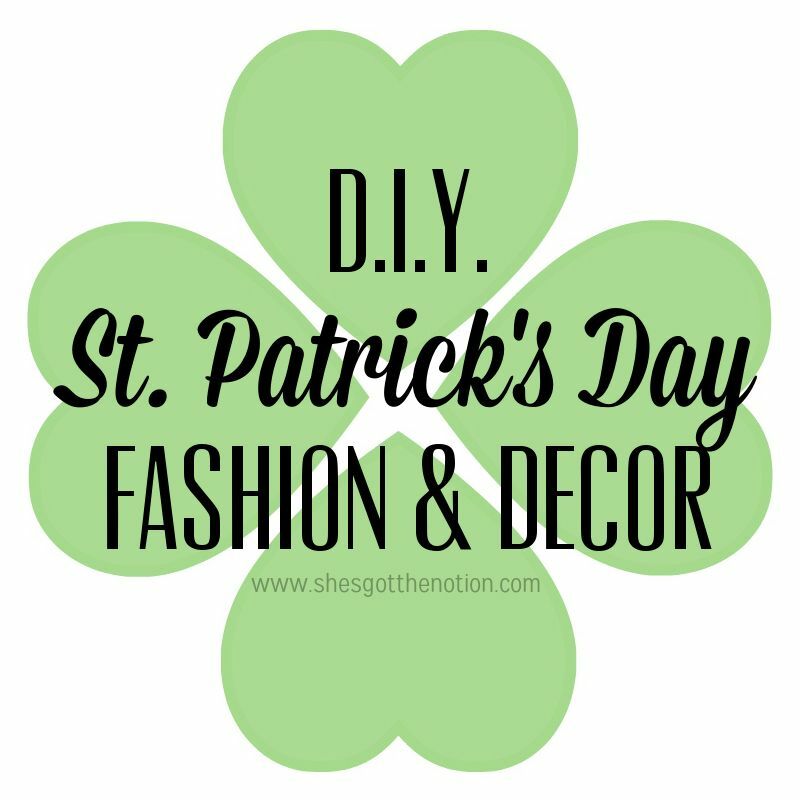 St. Patrick's Day projects this week on She's Got the Notion. It's that time of year when everyone gets to be a little Irish and wear green, eat corned beef and cabbage, and drink a little Guinness (if you're old enough, of course!). I have some tutorials today that will get you wearing your green and make sure you don't get pinched. I've also got some DIY decor that's perfect for St. Patrick's Day parties or if you just want to decorate for the occasion. Enjoy! 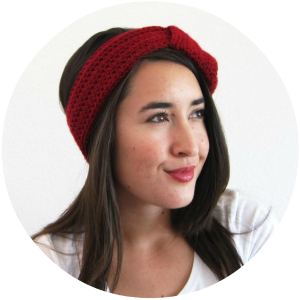 Shamrock Infinity Scarf & Shoes Clips from Handmade in the Heartland: This is a 2-in-1 post! 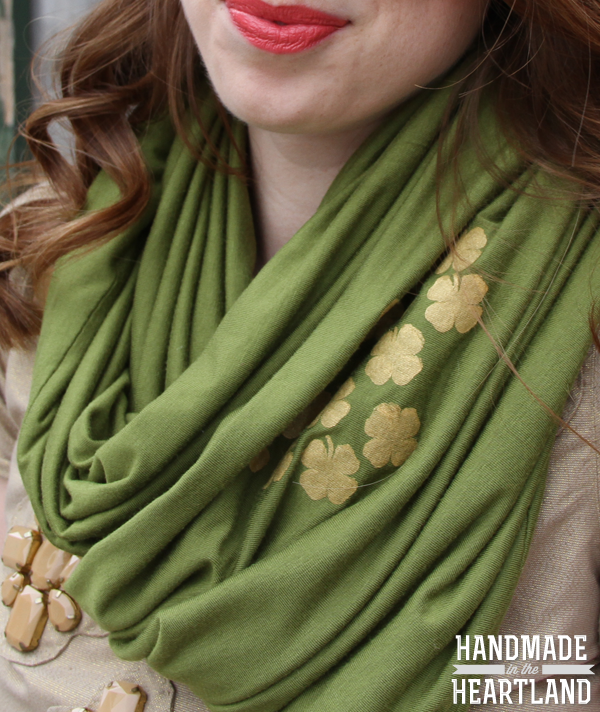 Learn how to make a pretty gold shamrock scarf and some fun shoes clips. Pom Pom Shoes Clips from Lovely Indeed: Make these fun pom poms for your shoes. Rainbow Friendship Bracelets from One Mama's Daily Drama: Make these for your little ones or for yourself. They're cute and simple, so you can whip up an arm party in no time. Crochet Circles Necklace from Happy Together: Crochet up some green circles out of scrap yarn and make this super cute necklace that's perfect for St. Patrick's Day. Green Ombre Shirt from Homemade Ginger: A white tee and some green dye is all you need to make a great ombre shirt. Clover Pin from Moon Frye: Make this cute clover pin to liven up any outfit on St. Pat's Day. 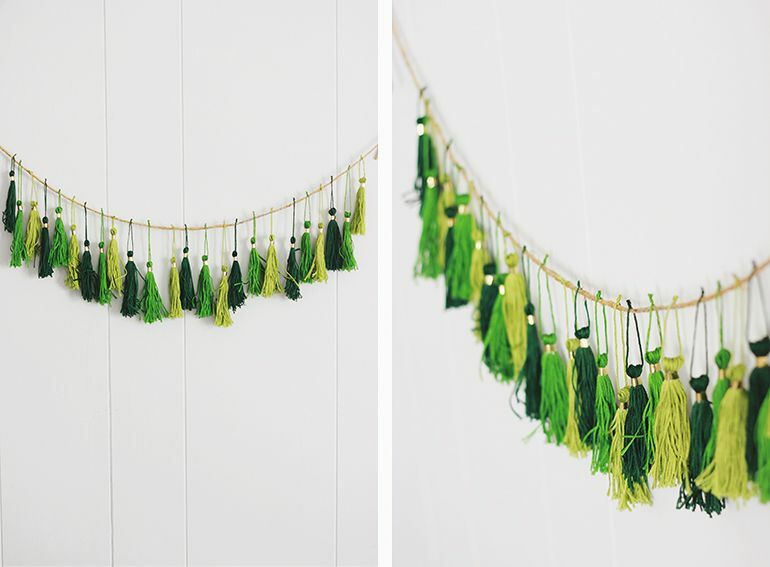 Tassel Garland from The Merry Thought: These easy to make tassels will liven up any wall. Lucky Penny Letters from Made from Marzipan: Time to go through that jar of spare change. I'm in love with this sign made by gluing pennies onto copper colored letters. 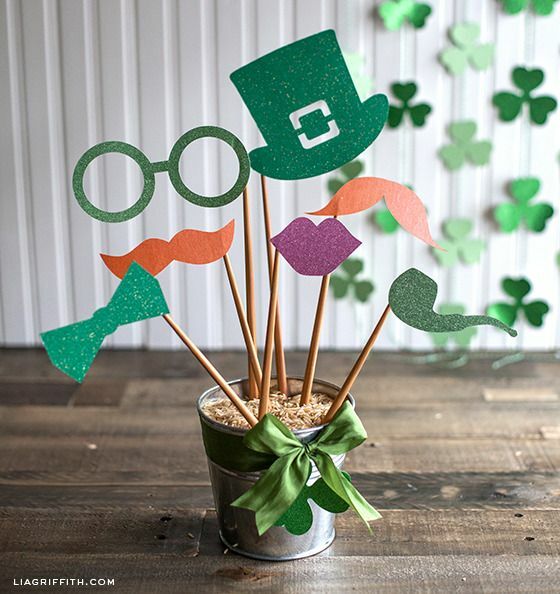 St Patrick's Day Photo Props from Lia Griffith: Hosting a St. Pat's party? These fun props will encourage your guests to take some fun photos. Lucky in Love Sign from Snap Creativity: Make this fun sign out of wood and paint.